Cassius Deluxe Excess Lounger looks like a classic sofa, but can easily be transformed into a queen size bed and is equipped with 10" Icomfort excess pocket spring. The two soft cushions add to the comfort and cosiness. 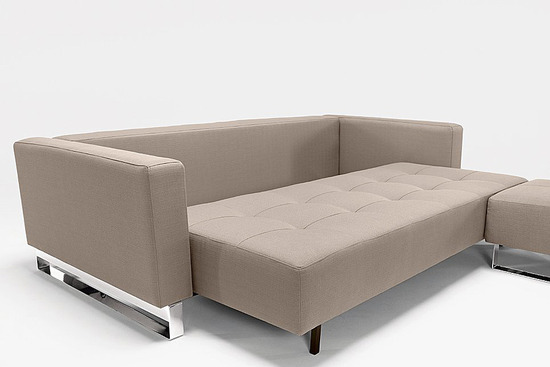 Cassius Deluxe Excess Sofa Bed offers comfort and style.